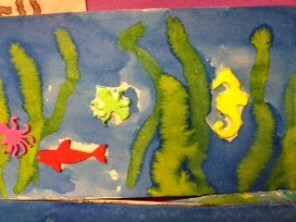 The Art Room is an integral part of the Open Classroom, with children K-6th passing through on a daily basis. From morning to lunch time the room can be filled with bustling activity, open-ended projects with recyclable material, wood, paper or fabric as well as projects being taught by the art teachers (Kristy Arroyo 3x week and Molly Edwards 1x week) and parent volunteers covering curriculum standards in color theory, drawing, printmaking, ceramics, crafts, textiles, collage and painting. The Open Classroom teachers also collaborate closely with the art room staff and volunteers and utilize the art room for whole group activities such as theater, fundraising events, presentations and class lessons (history, science and language arts). The 5th and 6th graders are given advanced art instruction once a week and involve the art teacher as a resource for materials and support with major projects. 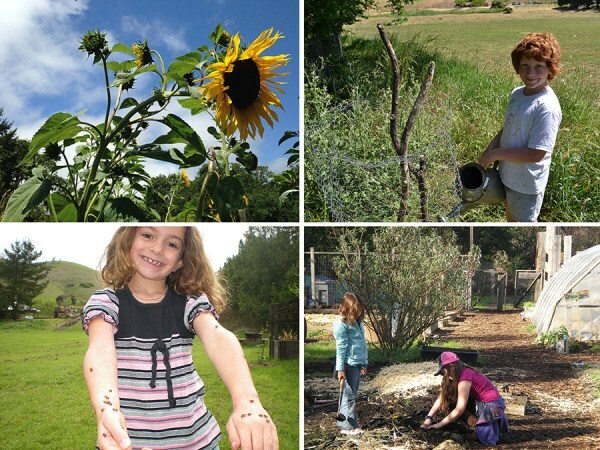 Hands-on time in the garden and barnyard gives our kids a tangible connection to the environment. Learning about natural cycles of growth and decay, taking care of chickens and rabbits, growing food then preparing it to share with others adds another dimension to the classroom education. Gabi works movement magic with all of our students in small groups. Combining sensory integration theory, ideas from occupational therapy, fun and play, Open Classroom kids get much more than just “P.E.”. Movement is part of the everyday experience in our program and it ties into emotional, social and academic development. What does movement look like? Some days it’s bouncing on a trampoline, other days it’s trapeze, maybe tossing balls around… it often takes different shapes, but is always awesome. Twice a week the children in the Open Classroom go in small groups to our music teacher. Singing, percussion, playing instruments and dancing are all part of the music experience.